Wahoo! After 2 weeks of cutting and sewing, my quilt is finally finished! 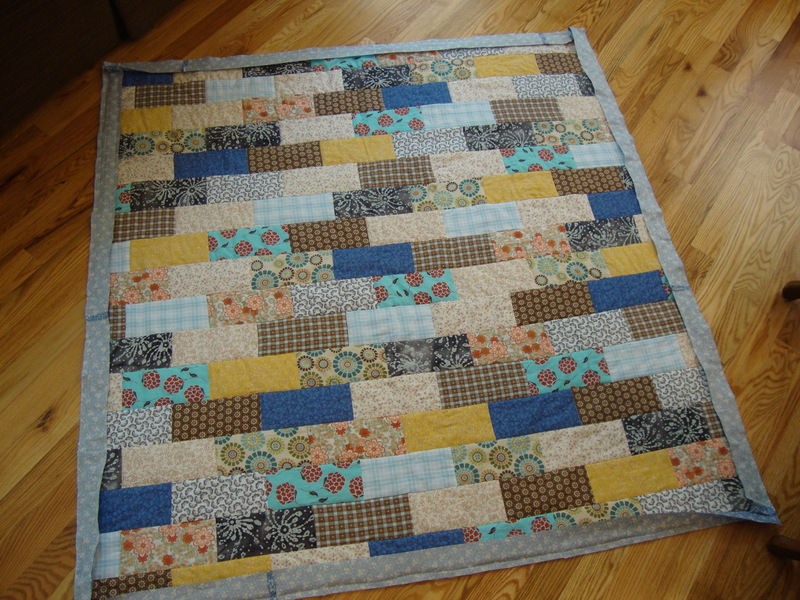 Finishing the quilt was a lot more simple than I first thought it would be. 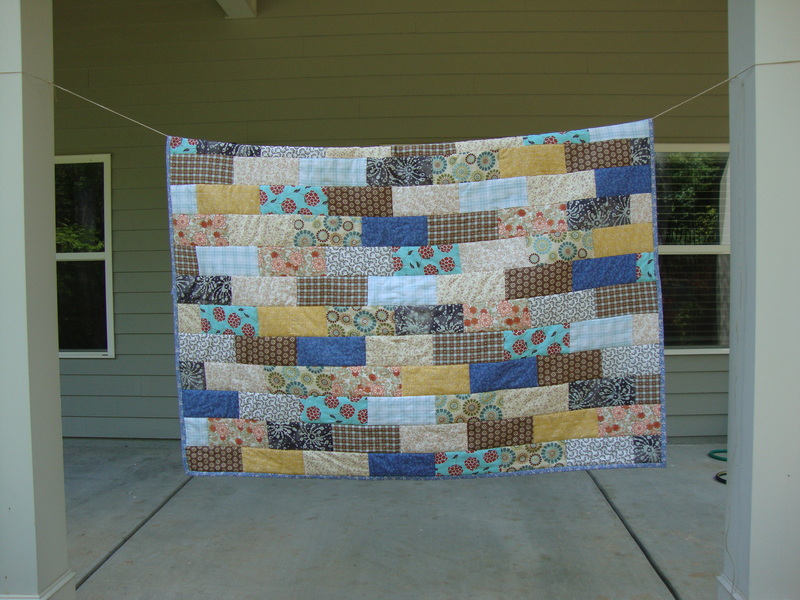 Once quilted, I simply cut off the access fabric around the edges and purchased a 5/8 yard cut of fabric for the binding. 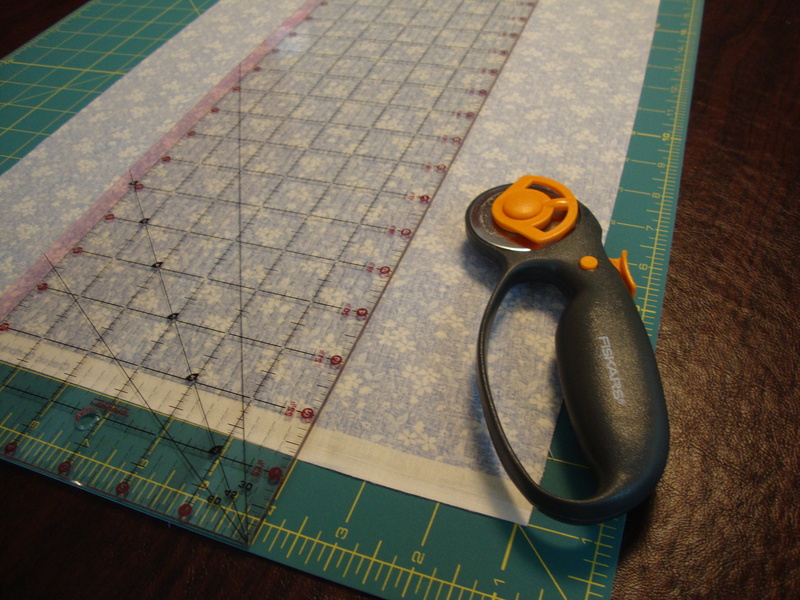 With the fabric I bought, I initially cut 6 strips (for my 60×60 inch square quilt) 3 inches wide. 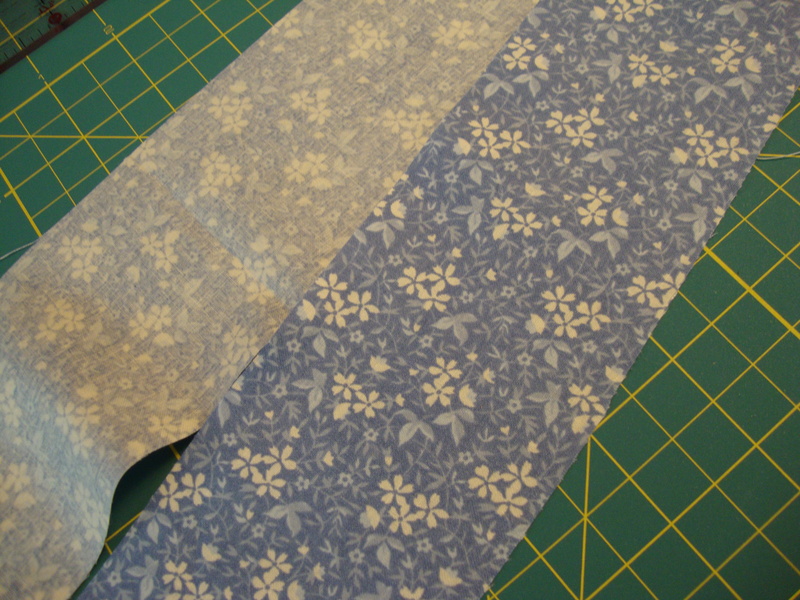 But then I realized I didn’t want the binding to be that thick, so I recut them into 2.5 inch wide strips. 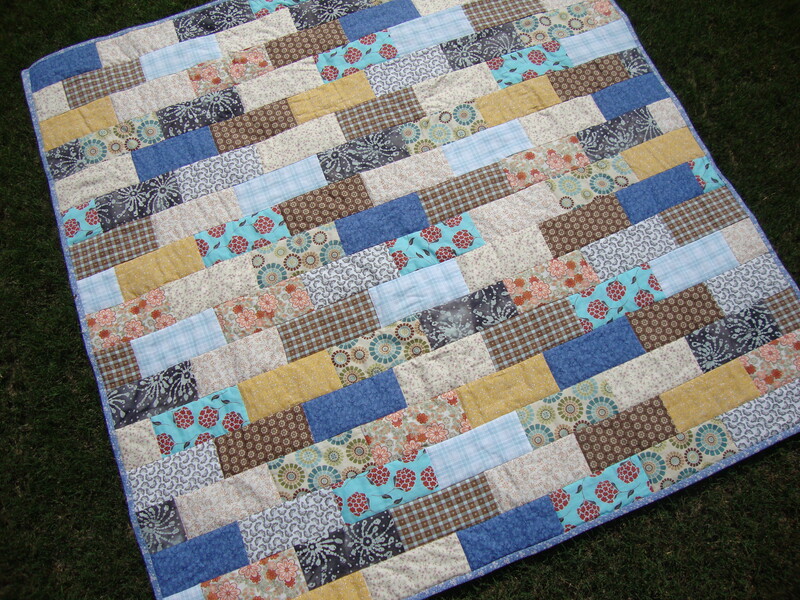 Once cut, I sewed the 6 strips together. Then taking my quilt and putting the right sides together, I sewed the strip to the edges of the quilt (using a 1/2 inch sewing allowance). 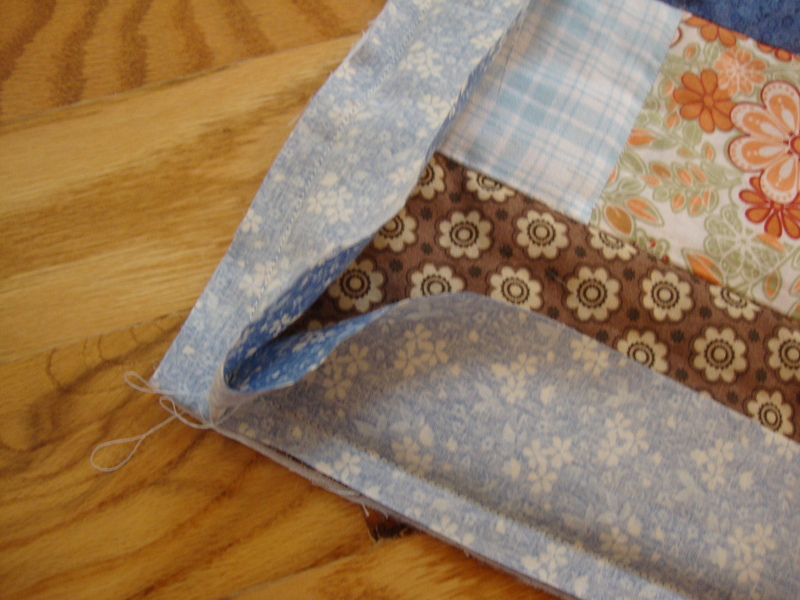 Next, with the edges sewn in place, flip the fabric over to the back side of the quilt. 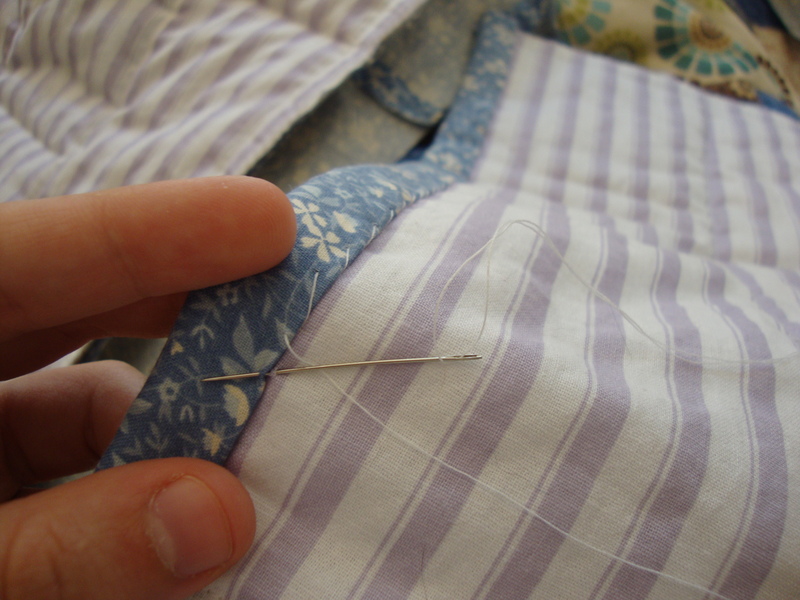 Use an iron to press the back edge in place (flipping the seam under to create a smooth edge). Then thread a needle and whip stitch the binding in place. Knot off the thread, and you’re done! 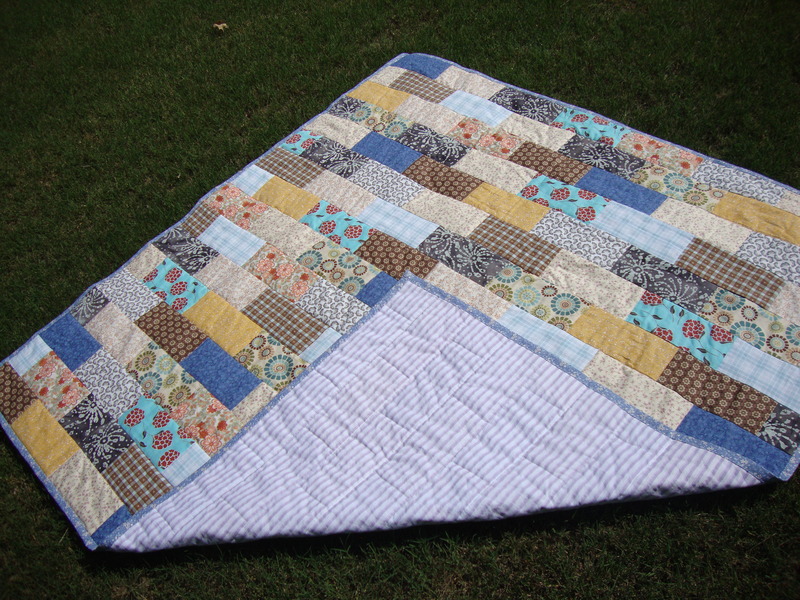 This entry was posted in Quilting Projects, Sewing Projects and tagged binding, brick style quilt, finished quilt, quilting.